The 2019 baseball season is about to begin. For those of us without cable, major league baseball was one of the toughest sports to watch. This was mainly due to the Regional Sports Networks and their stranglehold on local markets. However, 2019 is a year where we can all watch baseball online. MLB’s ban on streaming local market baseball online seems to be breaking. As of 2016, some Regional Sports Networks that carry Major League Baseball teams have started allowing live streaming of games. Of the 30 Major League Baseball teams, 22 teams have a way to stream baseball online through streaming services. These are the terms that air games on Fox and NBC regional sports networks. When Sling TV acquired the rights to live stream Fox Sports 1 online, they also began offering Fox Regional Sports Networks. They recently also gained the rights to NBC regional sports networks. Therefore, the games of the following teams are available through their “Blue” Package for $25 per month. The chart below will give you the best option to watch those 22 local market MLB teams online. If your team isn’t on the list, keep reading. There is a way for you to watch as well. FuboTV offers also covers all the NBC and Fox regional sports networks, so all 23 teams are available to watch online for $54.99 per month. The table above shows the best options for cord-cutters. However, I put together the table below to give you all the available options. If you live in the 7 U.S. markets not available through FuboTV, Sling TV, or other service you can still catch baseball games online through MLB’s baseball streaming service, MLB.TV. Even if you are in a “Blackout” area, there are legal methods to get around the blackout and stream the games of your local market team. This is also handy for anyone who wants MLB.TV and wants to watch their local market team. MLB.TV streams baseball games for every MLB team in the league, and you can watch every one of them without needing a cable TV subscription. Furthermore, Major League Baseball has made a few changes to their MLB.TV package, which makes the MLB’s streaming package a bit more affordable. In this article, I’m going to review what MLB.TV has to offer for the 2019 Baseball Season, a few of the changes they have made, and how this affects those of us wanting to watch baseball without a cable or satellite TV subscription. I’ll also cover a few options for those that fall outside of MLB.TVs terms of service. MLB.TV is the best solution to watch baseball online. 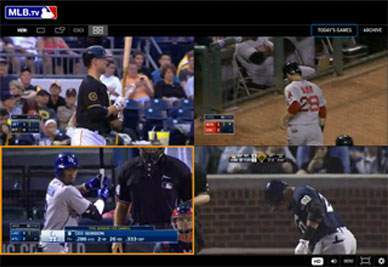 MLB.TV allows subscribers to watch every game, for every team, all season long. With MLB.TV you can watch baseball online, on TV and on smartphones and tablets. MLB.TV Premium service is $118.99 for the 2019 season. They also offer a monthly subscription package. If you just want to follow a single team for the year, you can do that for $91.99. 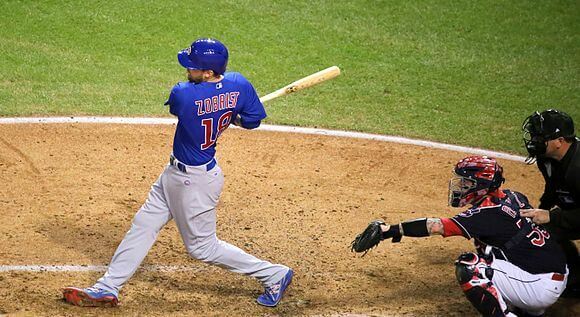 MLB.TV allows for watching MLB games on Roku, Apple TV, Smart Devices and more. You can check out their subscription packages at MLB.TV. Subscriptions include both Home and Away broadcast feeds. Subscribers also receive a free subscription to the “MLB At Bat” App. Overall MLB.TV is a quality product that delivers Live MLB games in HD quality video. However, two functions blew me away. First, the in-game highlights and stats update and automatically load as the action happens. A picture in picture window allows users to select highlights to watch from the game. The other function that knocked my socks off was the number of games you can watch simultaneously. On PC or Mac, Mosaic View allows up to four games at once in a quad view, Split screen or picture in picture. While MLB.TV is a great product and a must-have for baseball fans, those interested in their local team may take issue with the 90-minute blackout delay (there is a workaround I’ll get to in a moment). It wasn’t going to be all sunshine and rainbows for cord cutters. Local teams in your viewing area and nationally televised games are available 90 minutes after a game’s conclusion due to blackout rules. Yet, all other games are available for watching baseball online or on a supported device. The 90-minute delay to your local team’s games isn’t ideal, but it’s workable. Day games are available for viewing after dinner, and night games typically open up around midnight. Subscribers can fast-forward through all the downtime and be finished within an hour, or just wait until the next day if they want to enjoy the pace of the game. Furthermore, if you are desperate to catch the live action and don’t want to use the blackout workaround, there is no delay in the live audio. Occasionally I’ll sit on the porch and just listen to the live audio broadcast like I did when I was a kid. If you enjoy baseball on the radio and only care about your local team then you are set without MLB.TV. Every team has a local radio broadcast that airs MLB games live. Of course, if you live outside your favorite team’s viewing area you can watch their games live without worrying about blackout unless it’s a nationally televised game. 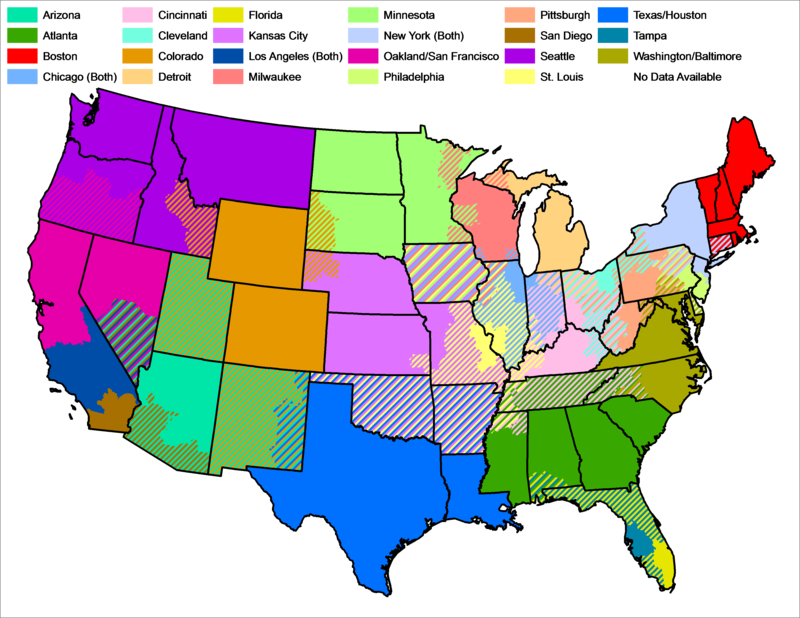 This MLB blackout map indicates the blackout region for each team. The audio feature isn’t subject to blackout rules. You can get around the MLB.TV Blackout by using a DNS offered by StrongVPN. MLB.TV blackouts are based on where you are located. They get this information from your devices IP address. StrongVPN’s Smart DNS routes your device through another region. This makes it look as though your device is outside your local team’s blackout zone thus allowing you access to the game. Once the Smart DNS is set up, you can sign up for MLB.TV. You can use your current billing address. The SmartDNS will still open up all games by presenting you living in a non-blacked out location from the perspective of MLB.TV. If your device isn’t supported then there is a workaround. For example, Amazon Fire TV uses your Amazon billing address. The workaround is to set up the smart DNS on a laptop and connect it to your TV with an HDMI cable. I tried this and it worked great. If your laptop doesn’t have an HDMI out port then you can get a USB to HDMI dongle to do the job. What is Subject to the Blackout Delay? MLB.TV is a great product, and if it wasn’t for the blackout delays, it would be perfect. If you are an MLB fan that follows several teams or you don’t mind waiting the 90 minutes for your local team, then MLB.TV will work for you. On the other hand, if you are only in it for your local team and enjoy the nostalgia, save your money and turn on the radio. To be clear, I don’t do this because it’s against the law, but there is no shortage of MLB baseball games available live over the internet. If the law isn’t deterrent enough, many of these sites have been a quick way to get malware or ransomware on your system. These sites don’t stick around long as they are constantly changing to avoid the long arm of the law. 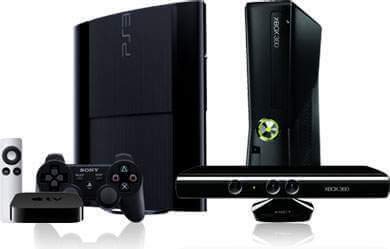 However, there are sites that aggregate the streams available streams. To find one simply do a Google search for “MLB live stream“. A number of the results within the top 10 will contain live streams to MLB games online. Be warned, these sites a lot of junk adds that prompt for inadvertent downloads. While it is possible to get to these live streams, paying $100 to MLB.TV every year to watch baseball legally seems well worth it to avoid the headaches experienced from trying to find an illegal live stream. However, if you want to walk the more nefarious line, then I’d follow these tips when using these types of MLB Live Streams. Get yourself a VPN service like IP Vanish. They will keep your browsing private and encrypt your data. A VPN encrypts your data transmissions over the internet, adding a layer of security against identity thieves. For more information, see: Why You Should Use a VPN. Be sure your anti-virus is up to date and turned on. Never give any of these websites personal information or credit card info. You don’t have to download anything to watch these feeds, so don’t run of the downloads. They aren’t required. Now you are armed with the information you need to watch baseball online. MLB.TV is a great value, so my advice would be to use their service. If you choose not to heed my advice and fall prey to the dark side’s allure of free baseball online . . . be careful.